The term President of the United States special Government medal (POTUS sGm) is a newly conceived U.S. numismatic identifier that I have assigned to a series of fifteen special Government medal types that were procured by The White House Office from the U.S. Mint® (a.k.a. Bureau of the Mint prior to 1984) for personal use by the President of the United States. These medals are official U.S. Government issues procured by The White House Office and produced by the Bureau of the Mint in the years 1958, 1959, 1960, and 1962. 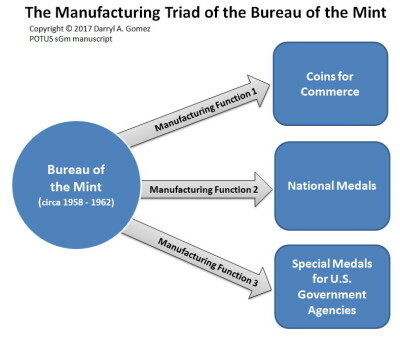 Currently, the U.S. Mint® enforces confidentiality of this procurement and has never released comprehensive design and production information related to these medals. As a direct result, these medals have been without proper numismatic identification, lack historical relevancy, and treated without due regard. My primary intent for this new U.S. numismatic identifier is to ​orchestrate a thought process whenever the term is visually or aurally encountered, This thought process associates the medal as belonging to the President of the United States (use of the acronym "POTUS") and the original medal was produced by the US Mint® (use of the acronym "sGm"). The term POTUS sGm is recognized as such, in that it points uniquely and unmistakably to the President of the United States (specifically, Dwight D. Eisenhower and John F. Kennedy) and the U.S. Mint®. The fame and reputation of the President of the United States and the U.S. Mint® is of such nature that a connection with the POTUS sGm is correctly presumed and is supported with evidentiary materials and documents. My fourth intent for creating this U.S. numismatic identifier is to lay claim for the first discovery and series formation of the POTUS sGm which is based on my original research contributions in the advancement of U.S. numismatic knowledge. 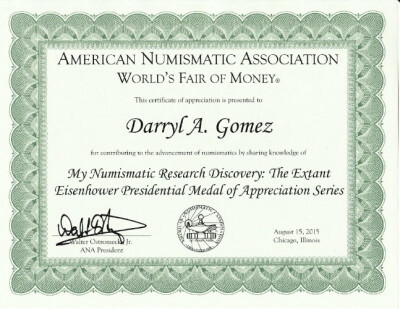 In addition, my surname, Gomez, is used with individual POTUS sGm identifiers to provide recognition of my contributions to U.S. numismatics for the first discovery, original research findings, initial series formation, and the establishment of the POTUS sGm series for the world-wide numismatic community. The POTUS sGm series has been organized and formed. As a result, a new U.S. numismatic medal series has been established. My numismatic research findings has removed the stigma overshadowing these original medals for over five decades as being unacknowledged products of the U.S. Mint®. 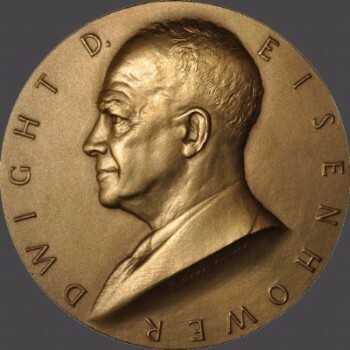 My initial research findings were first published in February 2014 with the book titled, The Dwight D. Eisenhower Appreciation Medals, ISBN 1495348229. 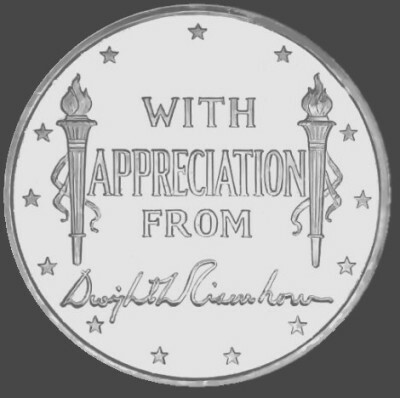 This was the first occurance in which general numismatic information (mintage, designers, purpose etc...) was substantiated with hard evidence from the National Archives and Records Administration. This is also the first occurance where the entire series was organized and formed. 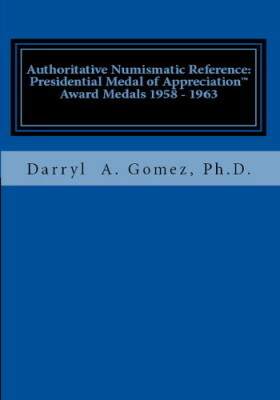 My ongoing research findings was also published in July 2015 with the book titled, Authoritative Numismatic Reference: Presidential Medal of Appreciation™ Award Medals 1958 - 1963, ISBN 1511786744. In this book I reorganized the original medals into five classes. 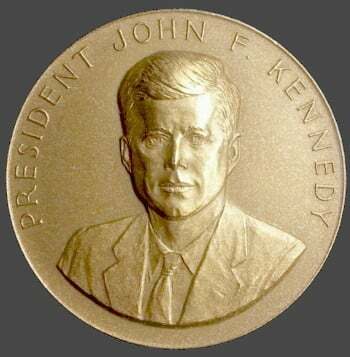 In addition, I located an original President John F. Kennedy medal which met the criteria to be included as a presidential appreciation medal. 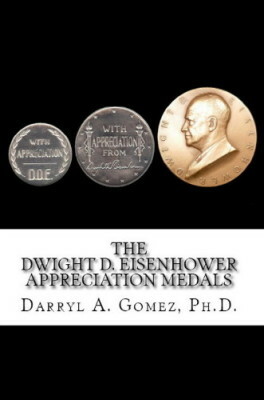 I also developed a forerunner name of for this series of original numismatic medals, Presidential Medal of Appreciation. This name was inappropriately trademarked for the series and should not be used. My ongoing numismatic research focuses on four distinct areas to develop the POTUS sGm series. The four focus areas include: Production Chain, POTUS Provenance, Destruction Chain, and Artifact Chain. A planned book launch is expected which will be the third book which presents my ever increasing research findings. My numismatic research utilized records from the National Archives and Records Administration (NARA) to document my research findings. 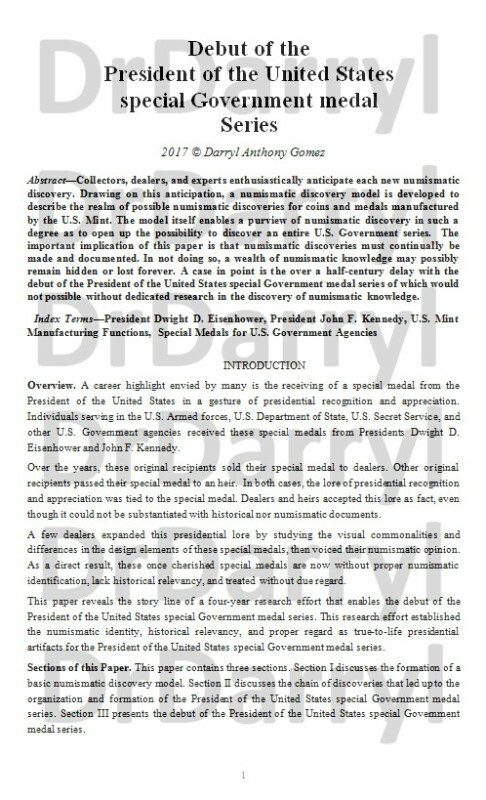 In addition, secondary research sources was used that include: Annual Report from the Director of the Mint (1957 - 1964), Congressional records, regional numismatic reference books (Hawaii and Philippines), specialized reference books, auction catalogs, and individuals with interest in medals related to the President of the United States. Specific design elements identify the awarder/issuer as the President. 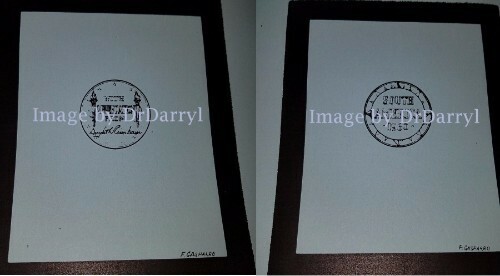 These design elements include the President's name, initials, facsimile signature, and/or historical event of which the President was a primary participant. These special Government medals were personally awarded by the President of the United States or issued with direction from the President of the United States. 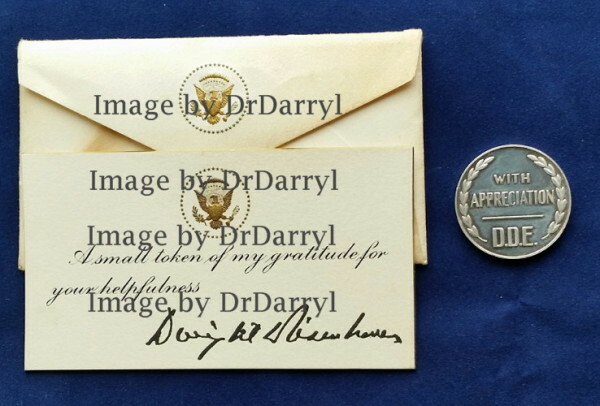 The medal itself allowed the President to distinctively express his presidential gratitude and establsihed a keepsake reminder for each recipient. Today, these original numismatic medals have the required evidentiary documents for them to be substantiated as presidential artifacts. The POTUS sGm series was organized into five different classes. 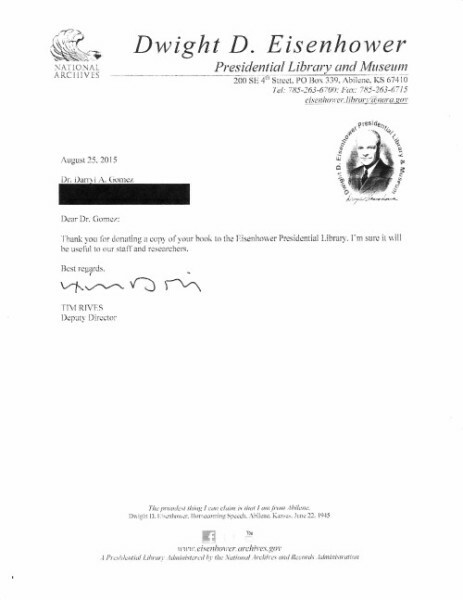 My surname, Gomez, is used as part of the individual POTUS sGm identifiers to provide recognition of my contributions to U.S. numismatics for the first discovery, original research findings, initial series formation, and the establishment of the POTUS sGm series for the numismatic community. The specific reason for the five diffferent classes is to aid collectors to focus on: varieties within a specifc class, a specific class, a class type set, or the entire series. The separate classes will also allow related numismatic focus areas to include specific POTUS sGm classes to expand the focus area. As examples, the Gomez Class 1 medals may be adopted by so-called 50C series and the Gomez Class 2 medals may be adopted by the so-called dollar series. Gomez Class 1 - President Eisenhower. 30.6mm diameter, 2.6875mm thickness, smooth edge, 0.900 fine silver. A single obverse die is paired with three different reverse dies. Gomez Class 2 - President Eisenhower. 38.1mm diameter, 2.98mm thickness, smooth edge, o.900 fine silver. 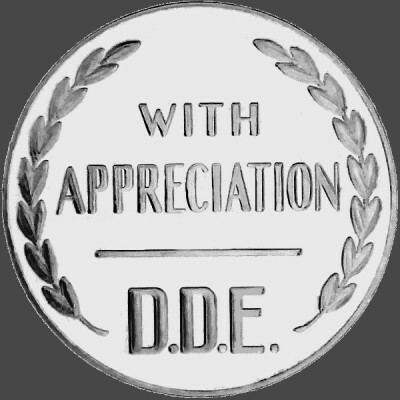 A single obverse die is paired with eight different reverse dies. 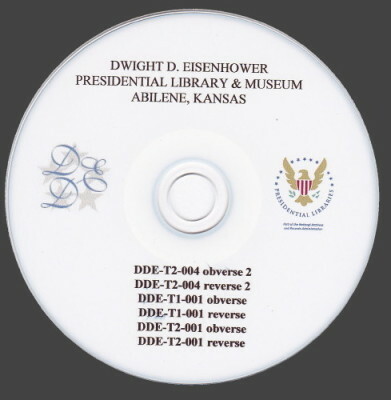 Gomez Class 3 - President Eisenhower, A single obverse die is paired with a single reverse die. 38.1mm diameter, 2.98mm thickness, and smooth edge. Struck in 18KT gold and o.900 fine silver. Gomez Class 4 - President Eisenhower, 76.2mm diameter and bronze. Four varieties exist for this uniface die pair. Gomez Class 5 - President Kennedy. 44.0mm diameter and bronze. A single obverse die is paired a single reverse die. The following images documents my ongoing research and presentation of my findings. My initial exhibit was the 2015 Baltimore Spring Expo (2nd place award for my first exhibit ever). 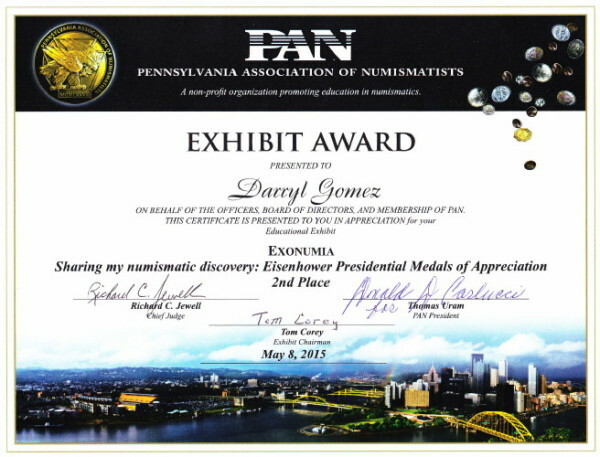 This certificate is from the 2015 Pennsylvania Association of Numismatists (PAN) coin show in which I also earned a 2nd place award. 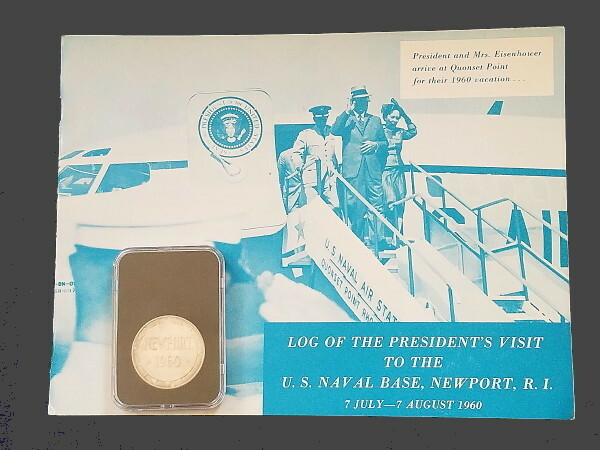 Intact presentation set consists of a Class 1 medal, 48-star envelope, and an engraved card with President Eisenhower's facsimile signature. Currently, only 91 presentation sets can be accounted from 1959 dated records. Names of the individual recipients are documented and known. 1. Creation of a discovery model for U.S. numismatic research. It explains the gap of knowledge in U.S. numismatics for focusing primarily on the physical aspect of discovery. (POTUS sGm series is a prime example of a half-century knowledge gap). 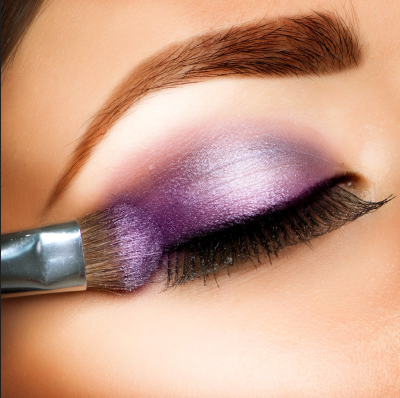 It provides a solution by presenting a discovery model and its methodology for use. 2. The storyline of the research performed that lead to the discovery. The formation and organization of the POTUS sGm research model is discussed. The storyline is tied to the research discovery model. 3. Debut of the POTUS sGm series is presented with its research findings and conclusions used to form the POTUS sGm series. The following videos provide information relating to the POTUS sGm. Some of the information may be OBE (Overcome By Events) based on my continued research. 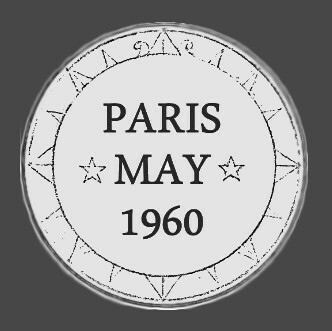 This video shows the remarkable toning on a "Paris Summit medal"
My two previous books which documents these medals are out of print and I do not plan to make additional copies available. However, a new book is in draft form and will be published. Stay tuned for the book launch by American Numismatic Press !